If the lines along their route make angles the design is in geometrical style. But if the lines in their course don't make angles, the design will be classified in the curvilinear group. Should the lines of the design in some part of their route make angles and in others make roundish movements the design belongs to the stylised group. 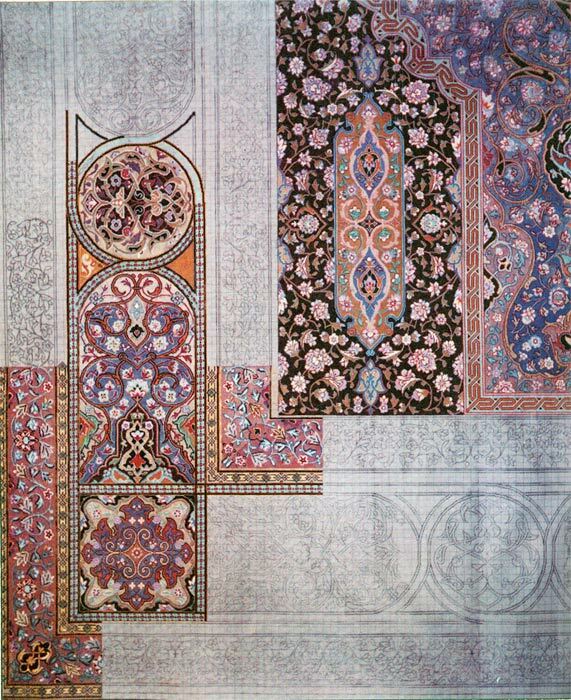 Most Persian carpets are decorated with medallion,(Toranj), and corners. 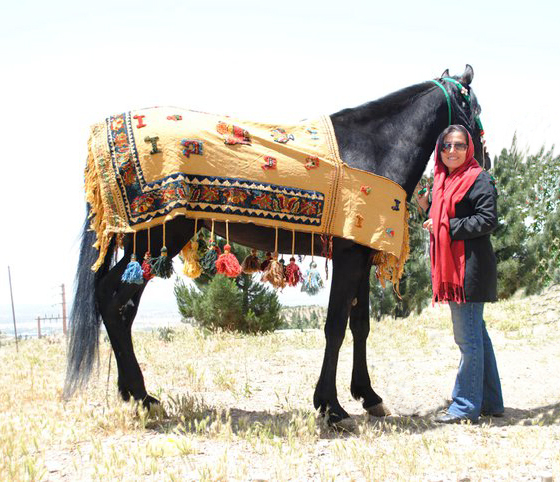 The medallion is always located in the centre of the Layout and the shape may be round, oval, rhomboid or radial of different sizes which varies according to the taste and custom of the weavers. Instead of a single medallion we may find two or three medallions on the central line of the carpet. Usually on the top and bottom of medallion there are two pendants, (Sartoranj). One fourth of the medallion shape or something of a similar form when repeated in the corners of the field is named corner Lachack. 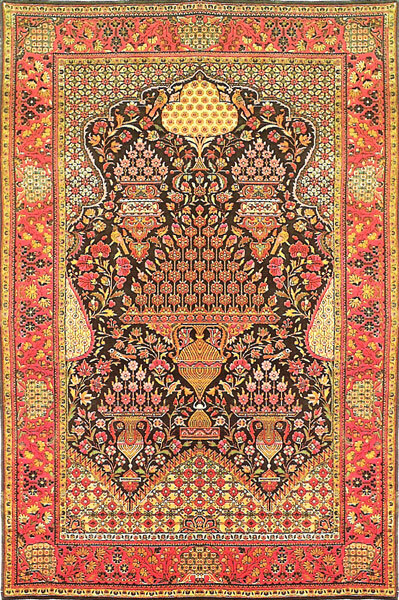 All Persian designs are categorised in two main groups. 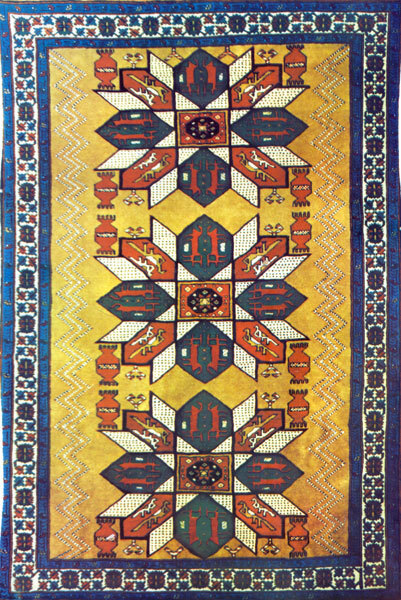 Tribal carpets are small in size, woven in a very short period of 3 0 4 months and in the form of a rug and runner. 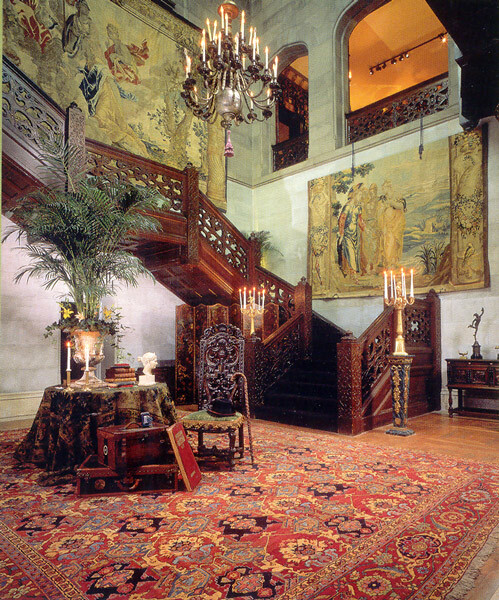 Twenty-fourth Carpet Exhibition 1394 to be held in September on the first until seven.